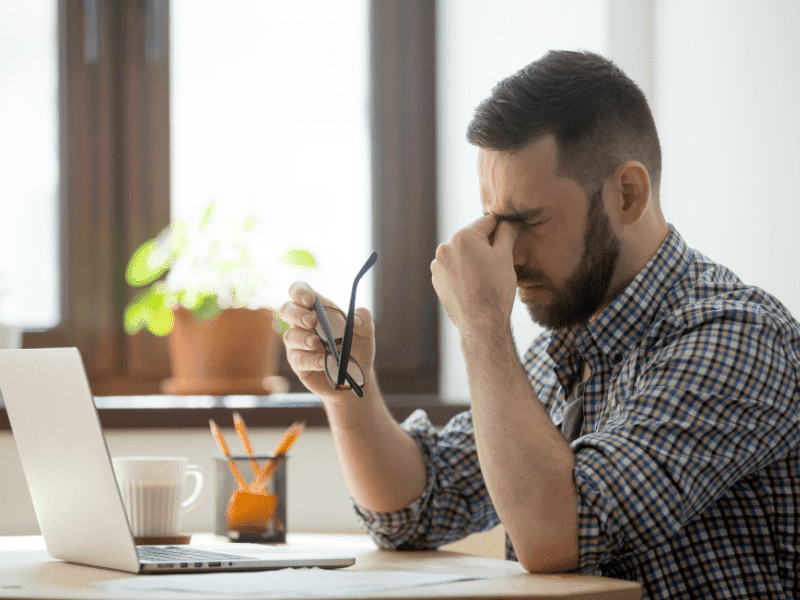 Tired eyes often cause discomfort and can interfere with daily activities, especially if these conditions occur during activities such as studying, working, or when driving a vehicle. Tired eyes are generally not a serious problem and can disappear on their own after you rest. Tired eyes are described as eye disorders caused by long-term use of the eyes without rest. Drive a vehicle with a long distance. Stare at a computer screen or gadget for a long time. Look continuously in low-light rooms. Exposure to light that is too bright or dazzling. What Are Tired Eye Symptoms? Eyes feel sore, sore or itchy. The eyes are more sensitive to light. Tired eye symptoms can also spread to other body parts, such as pain in the shoulders, neck, back, and headaches. Some of these symptoms will be felt more if you lack sleep. Because, enough sleep is very important for the eyes. During sleep, the eyes will also rest and get nutrients for tissue repair, so that tired eyes can be overcome. Lack of sleep is the same as reducing or interfering with the process of resting the eyes. Tired eyes are very closely related to one's work. Some of the things below can be done to prevent it. Adjust the lighting and position of the computer screen. Adjusting the lighting of a computer screen can be done with the help of a filter. When on the move with a computer, make sure to always keep a safe distance between the screen and eyes, which is around 50-60. So that the eye distance and computer screen are ideal, then use a chair that can be positioned. Try to keep the lighting of the room not too bright, so as not to dazzle the eyes, including adjusting the direction of lighting. Be sure to always keep the computer screen clean so that the lighting is still ideal. When operating a computer or reading, you are recommended to occasionally take a break from these activities. Rest every 20 minutes, then rest your eyes for at least 20 seconds. Tired eyes can also be prevented by eye care, including compressing the eyes with a cloth soaked in warm water, or using eye drops to refresh the eyes when they begin to feel dry eyes. To overcome tired eyes, you can try a few steps below. When reading is too tiring, often blinks. If necessary, move for a moment from reading so that the eyes can rest. Close your eyes and massage the temples for a few minutes to reduce fatigue in the eyes. Don't forget to adjust the lighting that is ideal for the eyes. When the computer screen has made your eyes tired, increase the screen resolution and reduce the lighting of the room. Then adjust the distance, contrast, and font size. Switching the view from the computer screen for a while can also help reduce fatigue in the eye. Standing and stretching your arms, legs, shoulders and back can help reduce body fatigue. If your eyes feel dry and blinking your eyes don't help, you can use eye drops. You can also close your eyes and compress them with a washcloth that has been moistened with warm water. Some people need to wear glasses when reading or using a computer to overcome tired eyes. Natural products of fish oil with omega-3 and bilberry acids are believed to reduce tired eye symptoms. However, this still needs further research. Just like other parts of the body, the eyes also need rest. Make sure you always pause in the middle of the activity, so the eyes can rest. If you feel eye symptoms are tired and don't improve, don't hesitate to consult a doctor.